The rise of Ouya is a valid excuse for every magazine to take a trip down memory lane. A trip through the industry’s darker moments. A lot has been said about Ouya already. The believers praise Ouya as the most successful Kickstarter project ever, the underdog console with indie support, highly affordable and ready early next year. But critics are keen to point out its flaws. Not very powerful hardware, easy to hack, no installed base beyond the 50,000 or so that pledged money on Kickstarter. 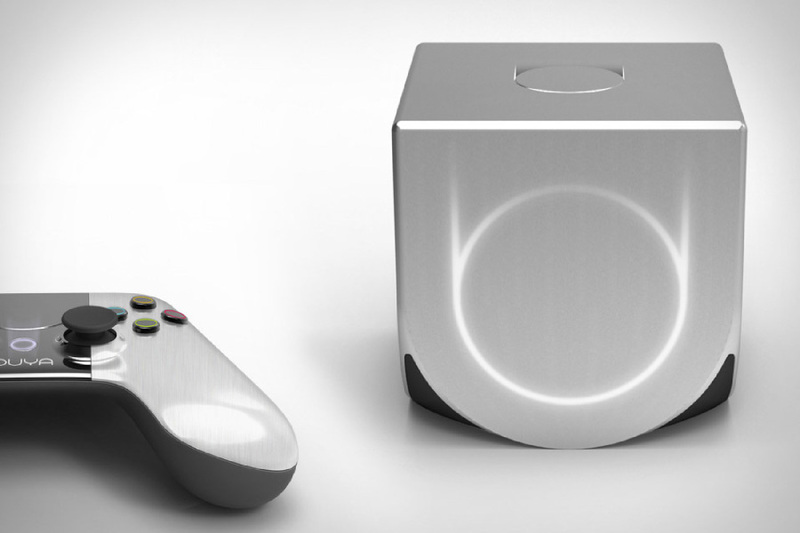 However the future of Ouya turns out, it’s an interesting prospect in more ways than one. It could potentially upset the balance (or status quo if you like) of the traditional consoles. A dark horse console that will bring cheap bite-size games to the living room. Perfect for that new gaming demographic that grew up playing mobile games. They don’t have the attention span -or money- to invest in dedicated console games, but these mobile games will do just fine. It’s also a case study in setting up a successful crowdfunding campaign. The Kickstarter hit all the right notes with mass media coverage and well-known industry names lending their support right from the get-go. And while a large part of the online games press remains skeptical, consumers embraced the tiny console en masse. Ouya is being compared to Phantom a lot these days. The Phantom game console aimed to change the video game landscape back in 2004 (and 2005 and 2006) by promising on demand gameplay via the internet. But the console never actually materialized. Phantom Entertainment now makes the Phantom lapboard, literally a keyboard and mouse on your lap. Yeah. Gizmondo’s story reads as a crime novel, with a band of merry men burning through a 400 million dollar investment in four years. Funding a luxurious lifestyle and bringing to market a sub par handheld that never stood a fighting chance. The whole thing came crushing down spectacularly with one of the men crashing his million dollar Ferrari Enzo. The Zodiac was designed to be a ‘high performance mobile entertainment system’ running an enhanced version of the Palm Operating System (remember that one?). It could handle anything from games, music, images and video. But with less than 200.000 units sold the Zodiac was discontinued in 2005. It’s Official: Indie Games Awards Now Cover Entire World!